Every year thousands of women travel alone around the world and have to face the judgement of their family, friends, and even society. In most cultures, it is not well seen for a woman to be travelling by herself. 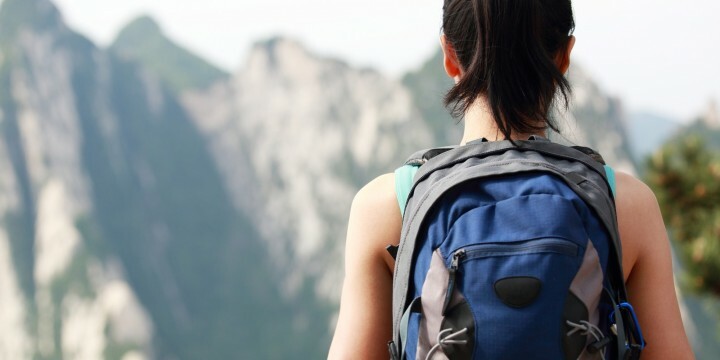 It is thought of as risky and this general belief makes women afraid to travel alone. However, this should not stop you! Many women love travelling alone in all parts of the world and have great experiences doing so! In fact, in the last 6 years there was an increase of 230% of solo women travellers. Above all, as a solo female backpacker, you will learn a lot about yourself and learn important life lessons. While travelling, you will get to assess situations, make choices, and adapt your personality and your behaviour to the local environment. Your experiences will help you understand how adaptable you are to every situation. The very definition of being intelligent is the capacity to adapt. So before starting off on your travels, learn more about the local culture and traditions and you’ll be in a better position to adapt locally. Study your travel plans with precaution, research the country’s current political situation, religion and the role of the women in society. Be self-reliant and well prepared. Familiarise yourself with cultural norms, dress codes and protocol between men and women, as these may vary widely from a country to another. The scary stories you may hear involving solo women travellers need not frighten you, but rather inspire you to take extra caution with your safety. Try to travel in groups when possible and don’t walk by yourself at night. Even if you don’t know exactly where you are going, simply pretend that you do and you will blend in. If you feel uncomfortable, slip into a shop or nearby restaurant for a while. Risks are a part of everyday life and can be encountered anywhere you go. No restrictions, no obligations, just freedom! You will appreciate taking your time, to make your own decisions and to decide when and where you want to go. One of the best things when you travel alone is that there is more availability for activities, accommodation and transportation. You will find that people can be especially helpful and friendly to you when they see you travelling alone. On the roads of the world, you will meet incredible people. You will be amazed by the number of people doing the same thing as you; travelling on their own. Many times, travellers find common interests and are happy to exchange their travel tips. Creating new connections and making new friends all around the world is awesome. You will find generosity, true kindness and friendship in every corner of the world. Travelling will amaze you and undoubtedly change your life. It will help you understand yourself and the world from a different perspective. When you step outside your comfort zone and put yourself in a different environment you may be surprised by how easily you can deal with new situations. Women travellers will discover how men’s behaviour may change from a country to another in terms of physical contact and relationship. Travelling on your own as a woman might just change you as a person. Solo women travellers say that they feel more confident and independent, tolerant, open minded and friendly. Travelling alone can also help you learn life lessons, improve your self-esteem, and develop your sensibility. So never let the phrase “but you are a woman” stop you from making your travel dreams come true. Don’t be afraid to live your life and go anywhere you want in the world. We only live once and so get out there and make it worthwhile just as you please!